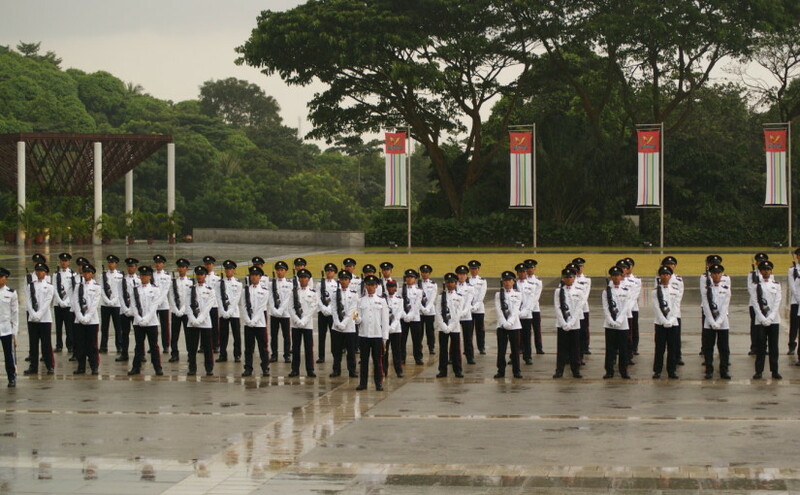 After 7 long torturous months, I finally commissioned as an officer of the Singapore Armed Forces, surviving not only the wet season of Lancer and the dry and hot weather of Crescendo, but the many other exercises and challenges that OCS has thrown at me to prove that I am worthy to be a young 2nd Lieutenant. The Officer Cadet Course (OCC) has been a rollercoaster ride of ups and downs for me. I would easily admit that I was struggling through the course, and many a times I have contemplated the thought of getting out of course just to end my suffering there. It was perhaps the worst misjudgment of my life so far to have to want to come to OCS when I was in Specialist Cadet School. But like my friends said, I chose this path myself – I have no one else to blame. The only sources of motivation were my section mates from SCS, the few true friends that I met in OCS and my family. After everything I have gone through, I am glad that it ended on a high note – from my perspective, the commissioning parade went smoothly and we even had a rainbow – what more could we ask for? Here’s to all the newly commissioned officers of the 80/10 OCC. Does this mean that your freelancing days are over?